Mario Vielmo was born on 24th November 1964, in Lonigo, province of Vicenza, where he lives. A mountain guide, he has thirty climbing experience, but it is in the Himalayas that he has been able to make the most of his mountaineering skills. Thirteen, including eleven at the top, the eight thousand climbed by Mario Vielmo: Dhaulagiri (8167 m) in ’98, Manaslu (8163 m) in 2000, Cho Oyu (8201 m) in 2001 (solo), Everest (8848 m) in 2003, Shisha Pangma (8013 m central peak) in September, 2004, Gasherbrum 2 of 8035 m, in July 2005. On 24th May 2006 Mario reached the peak of its seventh eight thousand Makalu (8463 m) and carried to the top the torch of the 2006 Turin Olympics with a message of peace his Holiness the Dalai Lama, addressed to all humanity. And so began an ambitious project of solidarity aimed at Tibetan refugee children. 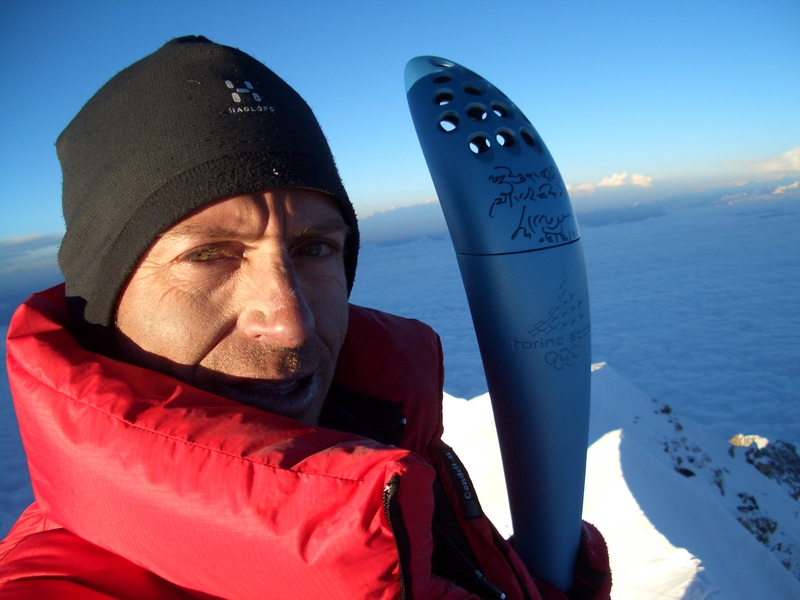 On 21th July 2007, he reached the peak of his eighth Eight-thousand K2 (8611 m), an experience that deeply tested him by the loss of his peak mate Stefano Zavka. He has always been committed to solidarity with the Tibetan and Nepalese people. In 2008/9, he actively contributed “Makalu Olympic Torch Project” with the fundraising and construction of a school for Tibetan children in Dharamsala (India). Now he is working as a promoter together with the non-profit organization Sidare of the project “A school for Nepal”, the construction of the school in Arugath (Nepal), destroyed after the terrible earthquake of 2015, and another project reconstruction school in the Lantang region (Nepal ). In April – May 2008, he leaves for the attempt to climb Everest without oxygen from the south side, but the sudden snowstorm had forced him to retreat and give up only 200 meters from the summit. 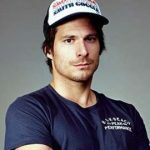 In July 2011 he was part of the international expedition directed to Gasherbrum 1 (8068 m), after the participation of rescue of a Pakistan carrier (Sadik), he tried to climb and failed just 120 meters from the summit due to the sudden arrival of a storm. On 20th May, 2013, the Kangchenjunga (8586 m) he reached the summit of his ninth 8000m together with his friend Nepalese gurung Bibash, who died during the descent dropped from the south wall. 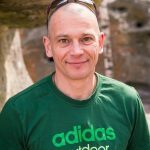 In the spring of 2015 he attempted the ascent of Lhotse (8516 m) but during a stop at the base camp with 4 Italian friends, on 25th April, he becomes witness of the dramatic story of the earthquake in Nepal which it was caused by an avalanche detached from the Pumori that destroyed the Camp base and killed more than 20 climbers. In the spring of 2016 he returned to Nepal and the 1th of May he reached the peak of the Annapurna (8091 m) in extreme conditions with winds at 60 km / h and a perceived cold due to the wind chill of – 45 ° / -50 °. On 26th May 2017 together with Nicola Bonaiti and with adverse weather conditions, he reached the summit of Lhotse (8516 m) without oxygen, crowning his 11th 8000m. At the beginning of his climbing career he tried in 1996 Broad Peak (8047 m) reaching up to 7500 meters. Other peaks reached by Mario Vielmo: Kilimanjaro, peak of almost six thousand meters in Africa; Illiniza, Cotopaxi and Chimborazo in Ecuador; Alpamayo, Quitaraju and Huascaran Sud in Peru, all peaks around six thousand meters. From Pik Lenin (7134 m) in Pamir he made the complete descent with telemark skis. In Canada in 1994 he climbed 14 difficult icefalls up to 500-600 meters long. His experiences include numerous extreme descents with skis and snowboards, such as the North of the Marmolada, the east channel of the Carè Alto Adamello, the Vajo Mosca in the Carega Group and the Hanibal couloir at the mont. Velan. He has always a particular passion for skiing, perhaps mindful of early youth skiing. At Manaslu the path between the first camps was covered with telemark skis on their feet. At the Dhaulagiri with the snowboard Mario Vielmo has realized the descent from the Camp 2, from 6600 meters, up to the Base Camp. At Shisha Pangma he went down on skis from 7400 m.
On 26th May 2003, on the occasion of the 50th anniversary, he climbed Everest (8848 m) along the North East wall and reaching the summit alone. He is the author of the films “Everest 50 years later” – Shisha Pangma “Crest on pastures” – Ghaserbrum 2 “The pyramid of light” – “The cymbals of Makalu”, film that saw him participate in the famous television program “Alle falde del Kilimanjaro”. His climb on the K2 peak contributed to the creation of a docufilm for Italian television channel RAI,” K2, the dream, the nightmare “, presented in two episodes on RAI 2 and directed by the well-known sports journalist Marco Mazzocchi. Tibetans in exile in Kathmandu and exciting images during the expedition Everest 2008 has made the film “Himalayan Blackout”, seen during the festival of the film festival of Zakopane (Poland). In October 2013 was presented the new docufilm “Kangchenjunga The five treasures of the great snow.” An innovative film, which is receiving great interest from the public, and has been seen at the Trento Mountain Film Festival. Mario Vielmo has been taking part with his films for years. He participates at numerous conferences and cultural evenings both in Veneto and in other regions of Italy. “Himalayan Last Day” (story of the avalanche of Everest and Nepal earthquake in 2015). The film has had great interest at national and international level in the various film festivals related to the mountains. The film was awarded as best film by the Verona Mountain Film Festival 2017.
where he tells the difficult climb of one of the most feared and dangerous mountains in the world. “Lhotse throght the storm”,where he tells the ascent of Lhotse through the snowstorm.